Work with SRJ Windows today to benefit from premium double glazing. We work with homeowners living throughout Falkirk and the surrounding areas, and install windows, doors and conservatories that will breathe new life into any property. Our talented teams work with uPVC and aluminium as well as a host of market-leading designs in order to bring you the best product possible. Here at SRJ Windows, we proudly offer a huge variety of double glazing products to complete your home improvements. Our talented team of experts install all kinds of windows, from stunning casements to beautiful sliding sash windows. Tilt and turn windows can bring versatility to the table, while bay windows are the perfect choice for the homeowner that wants to let light flood into their property during the sunny summer months. We also work with market-leading door designs, crafted from the finest materials and sturdiest double glazing. You’ll be happy with your decision whether you choose uPVC, aluminium or composite, each of which offer structural strength and increased durability. Choose a standard front door or add a sense of character to your home with the unique functionality of our sliding patio and bi-folding doors, or the European aesthetic of the French door. On the other hand, your project may be larger in scope. If you’re looking to expand your home, then SRJ are still the company for you. We have experience with installing extensions of all designs. Looking to extend your existing property and nothing more? Our home extensions are the best choice. Want the perfect way to blend your garden and home? Choose a conservatory. 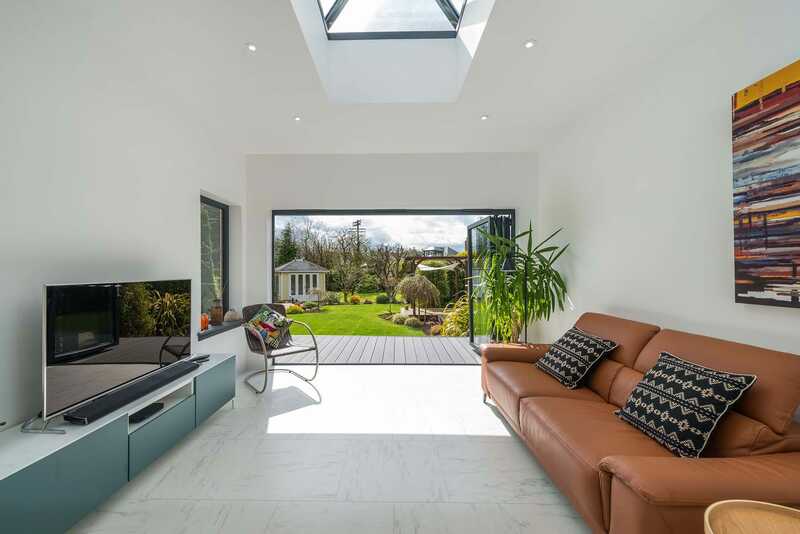 If you want to combine privacy and slim sight-lines, our orangeries are your best bet. One of the most important aspects of any window, door or conservatory is the security that it brings to your home. We understand that your double glazing may well be the first port of call for unwanted visitors looking to gain entrance to your property, which is why we offer an extensive range of double glazing that is built to protect. Combined with the sturdy nature of uPVC, aluminium and composite materials, SRJ double glazing will keep you safe. When you choose our double glazing you can expect the latest intricate locking mechanisms and powerful hinges to hold your window or door in place. Beyond this many of our products also come with an upgrade that meets Secured by Design Standards. We also work with profiles as solid as the Rockdoor, which is built specifically to protect you from both unwanted persons and unpleasant weather. If your home is currently built with out-of-date glass, then it’s possible that you are unaware of the thermal benefits of modern double glazing. We’d be happy to advise you on our extensive product line, all of which is designed to keep you warm naturally. Modern windows and doors make use of dedicated vacuum-sealing technology to block draughts and trap heat naturally. The results of this are impressive and practically immediate. Once your home begins to retain heat naturally, you’ll start to notice that you no longer rely on central heating for warming your home. This results in less energy consumption and subsequently lower bills. This benefit comes in tandem with the increased range of natural light you’ll be receiving, resulting in a truly homely property. 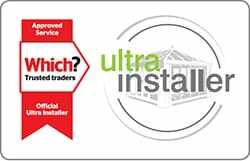 As a Official Ultra Installer, we feel confident when we say that SRJ windows and doors offer customers some of the best double glazing currently available on the market. We’ve been helping homeowners complete the projects of their dreams for over 25 years, and this recognition has allowed us to work with market-leading profiles. At the same time, we’re also a company that takes the environmental impact of our construction very seriously. We make sure to recycle 100% of all paper and cardboard waste, and make sure that up to 90% of our old windows are similarly re-purposed. On that note we are SEPA accredited for the removal of construction waste and are dedicated to reducing our carbon footprint. Contact the team behind SRJ for low prices on premium products. Our range of double glazing is extensive, affordable and the right choice for you. Complete your home improvements with us and get your project completed ahead of schedule with no fuss. Call our team on 01383 851 951 or fill out the form over on our contact page. 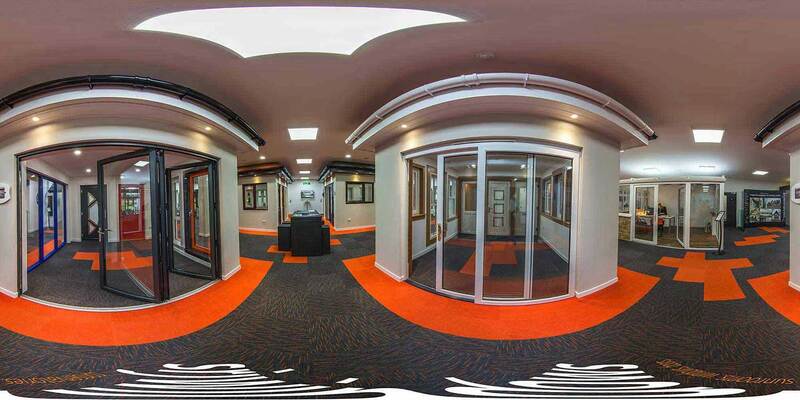 We also have a fantastic showroom available at our offices in Fife. This unique space allows you to get a hands-on impression of our fantastic home double glazing before you buy. We have products from every range on display, from windows and doors to conservatories and orangeries. Make the trip and get your home improvements started.